Sarah Foster before she started using Herbalife products in June 2016, left, and in October 2017. 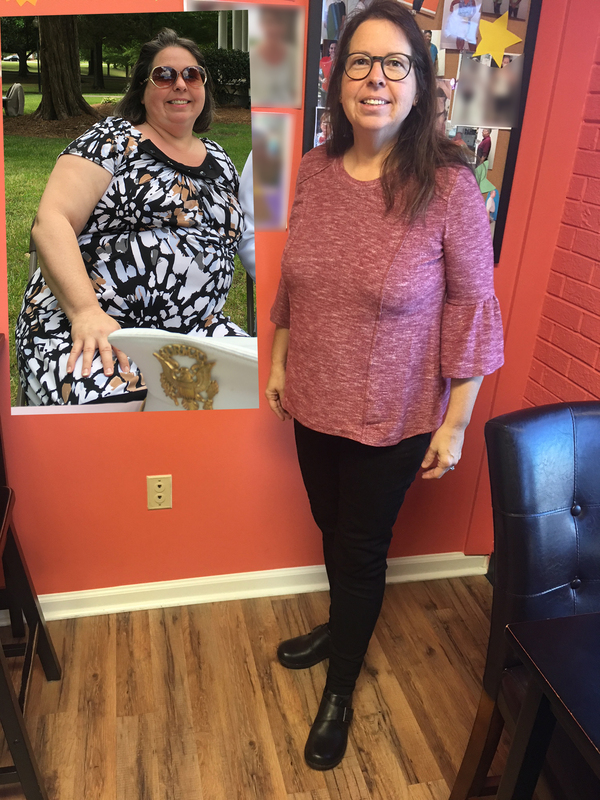 Update: Sarah has lost more than 80 pounds now. I was hooked on ice cream and junk food. I thought I was going to be fat forever and I hated it. Then I started substituting healthier options for the junk and the weight came off so much quicker than I put it on. I have lost 70 pounds and counting and I feel great. The shakes are a perfect substitute for ice cream for me. Whenever I have a shake I feel like I am having a treat. I notice people make eye contact with me now and they are more likely to engage in conversations with me. I don’t know which changed: people’s perception of me, or my self perception. Either way, it changed my life. Click here or the link below for information about Herbalife products, or fill out the form below for more information.